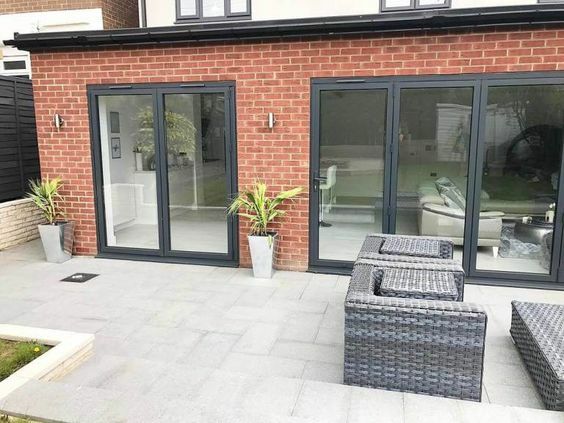 If you’re looking for a little more space in your home, or that key family area is missing, it’s a good idea to add an extension if you have the space. 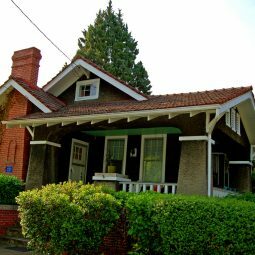 Extensions can be costly but it’s easy to stick to a budget if you’ve got the know-how and the savvy. 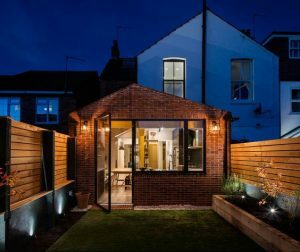 Instead of rethinking your budget or trying to borrow extra cash, read on to find 6 simple ways to cut the cost of your extension without needing to compromise. Just a bit of extra thought and planning can shave thousands off your final bill. Saving on expensive extras which overall don’t offer that much in the way of experience or value will have you thanking yourself in the long run! The simpler a design is, the cheaper it is to build. Keep in mind that simple doesn’t mean your extension can’t be beautiful and functional. An extension is going to add value to a home regardless of whether it’s an all-glass construction or a standard pitched roof extension, so don’t spend the earth constructing something complex. 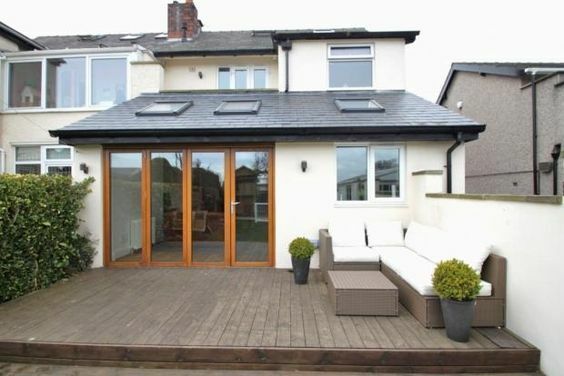 Choosing an extension with a wall of glass is going to increase the cost, both in labour and in glazing. So why not opt for 3 large sash windows instead? Keep the design and build cost-effective by choosing ‘ready-made’ products. Specifying a made-to-measure odd-sized window will increase your cost whereas choosing an inexpensive standard size VELUX window for example will give the same daylight for less. Pro-tip: Once the design is done, stick to it! Changes can cost in planning permission changes, architectural fees and additional building and labour fees. Some builder’s merchants offer special discounts for trade customers so try to use any family or friends you may have in the trade to take advantage of these! You could also ask your chosen builder or contractor to sign up for a trade account so you can take advantage of discounts. Sell it to them by letting them know they can continue to benefit from materials discounts with their other customers! Don’t be afraid to negotiate on materials, or to buy in bulk. 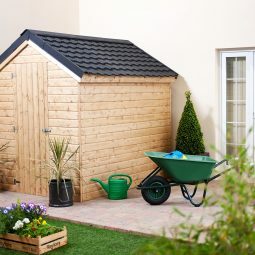 If you need 600 tiles for your pitched roof extension, it could work out cheaper to buy a pallet. Pallets may offer around 720 tiles for example, giving you tiles for future repair, to account for on-site wastage, or even to sell on for a profit! It’s common to negotiate a ‘day rate’ with builders which seems fair to the both of you. If the onus is on you to supply materials to your builders (which is another good idea to save on the small profit margin they commonly add) then order your materials well in advance to ensure delivery. If you’ve agreed a day rate, but there’s no materials on site, you’re throwing money away as you pay the builders for not doing any work! Don’t be afraid to get your hands dirty, if you have the skill! So maybe you’re not a bricklayer or you’re not confident in tiling the roof, but there’s some part of the project you’ll be able to contribute to. 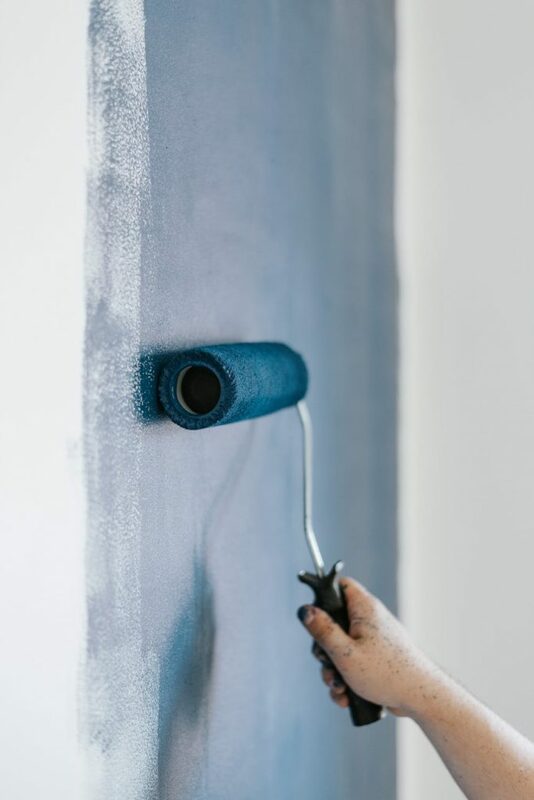 Paying a tradesperson to ‘finish’ the room could be costly if you’re happy to paint and finish it yourself. You could even take over by plastering, painting and finishing yourself. This could save around 5 days of an agreed day rate. Perhaps you’ve got a friend or family member who is a plasterer! It could be worth asking them for a quote and switching contractors at this point. 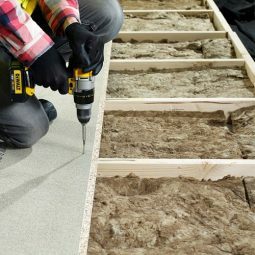 Bear in mind that if you’re not sure you can do the job properly it’s best to ask a professional – you could risk having to spend extra money on a professional putting your work right! Choosing the right architect, builder and materials provider can make a HUGE difference to your project, especially where the budget is concerned! Look for architects which are known-for or have a track-record in low cost domestic projects. Approaching a commercial architect for a small extension could land you with a very big fee. Naturally, an architect that specializes in high-specification, dramatic projects will charge a high fee for a costly build. Let the architect know you want something simple and low-cost to build. Using a recommendation site to find a local builder is probably a good first port of call. Recommendation from neighbours, friends and family can be enough to go on but it’s worth checking their other reviews too as one isn’t enough to go on. Beware of those offering a price too good to be true, it more than likely is. Avoid unexpected costs by agreeing a final and fixed bill due for payment on completion of the extension. Shop around for the cost of materials just like you would for an architect or a builder. 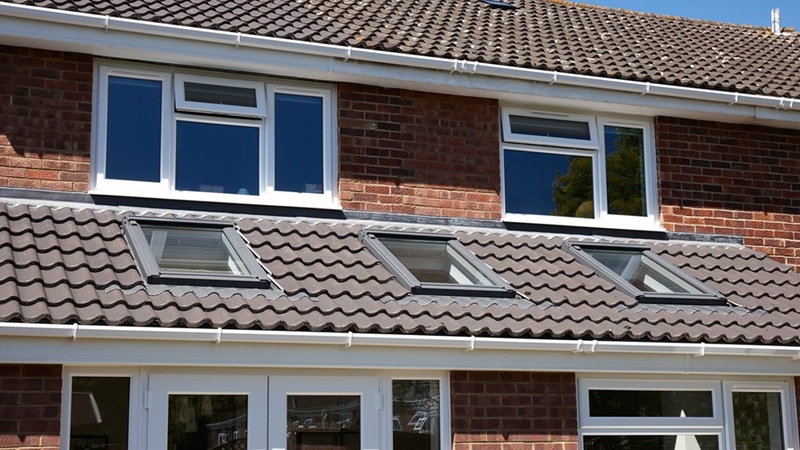 It may seem like you’re shopping around to save £20 here and there but saving £20 on a pitched roof window turns into £100 when you’re buying the 5 you need! 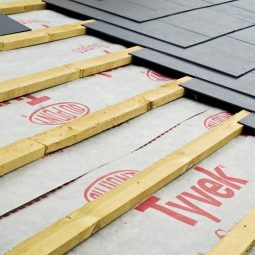 Saving £100 on roof tiles, plasterboard, roof membranes and the finishings you need soon becomes £1000. If you’re after characteristic touches for your extension, like old-school floorboards and weathered roof tiles, try a salvage yard to pick up what you want without paying over the odds. Getting a vintage feel is expensive when the products are new so it could be worth spending a night browsing Facebook Marketplace or Gumtree. These are also pretty good places to pick up roof tiles that might be excess from someone else’s project, or roof tiles somebody bought but couldn’t return when they changed their mind. Always be wary of the quality of secondhand or salvaged goods, ask why they’re available and get someone in-the-know to check them over. If you’re building an extension and looking for low-cost materials that will be delivered to site on time, call us on 01752 692 760 or investigate our newly-launched trade accounts available here.